There is quite an event brewing in Orange Park and it's called Phobia Phest! 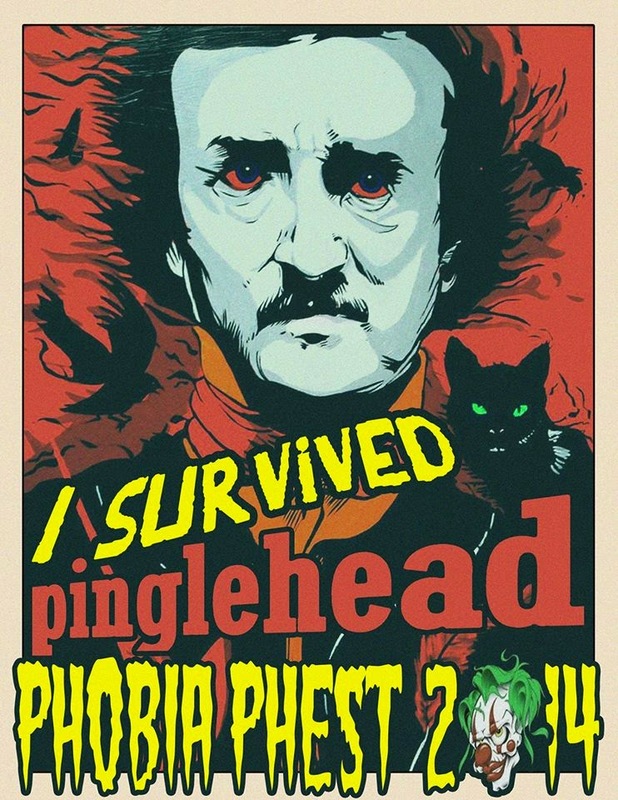 The first annual Phobia Phest is sure to be a good time for all ages. Brewer's Pizza is a family friendly establishment, and will host several activities for everyone to enjoy. There will be costume contests, pumpkin painting, and a pumpkin carving competition hosted by local artist, Kyle Willis. Kyle will also be showcasing horror themed art and will be hanging around to sign his works. Brewer's Pizza is home to Pinglehead Brewing Company, which is Orange Park's first and only brewery. And now it's home to the only Halloween party you need to attend this year! 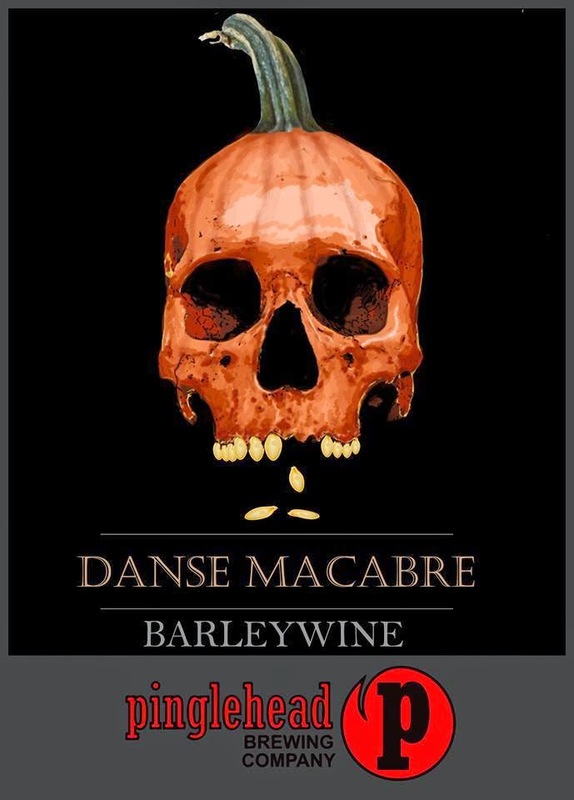 The place will be decked out in season appropriate decor and displays; there will even be live music and classic Halloween films being played during dinner. 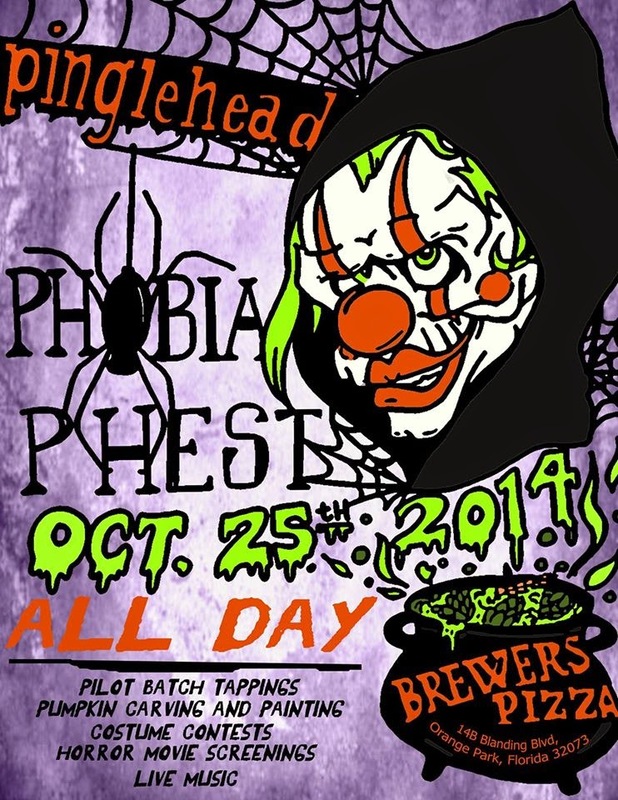 Brewer's Pizza will offer a special Phobia Phest menu that will include seasonal dishes and limited tappings of Pinglehead Brews. Speaking of brews, one of the limited brews will be from yours truly! That's right, I was fortunate enough to team up with Pinglehead a few weeks ago and brew a beer that is truly unique. You won't want to miss it! And for those you who prefer to stick to the soft drinks, Brewer's will be serving their own fresh-brewed root beer. As if all the beer, food, music, art, and costumes aren't enough, Brewer's will have a paranormal expert on hand to raise those tiny hairs on the back of your neck with spine-chilling music. Orange Park Native, Brewer, and Paranormal expert (he was recently featured on Syfy's Ghost Hunters), John Harris, will be a guest host for the day. Phobia Phest takes place on October 25, and will run from 11am-11pm. There will be outdoor seating all day. Brewer's Pizza is located at 14b Blanding BLVD, just before the Orange Park Mall. For more information, check out the Brewer's Pizza and Pinglehead Facebook pages. Winners will be announced for Pumpkin Carving Comp.